Found In Him: Abortion - A Small Matter? Abortion - A Small Matter? It’s easy to justify evils when nearly every voice says, “‘Peace, peace!’ when there is no peace,” and other voices say, “We can’t do anything about it.” If we are not careful, we will believe a lie simply because we have heard it so many times. We also justify evil if we do not have the discernment to understand a lie when we hear one. For example, I’ve heard Christians say, “I don't believe in doing that, but I also don't think our government should take away someone else’s right to do that.” While no law stops evil people from doing evil, the primary purpose of government is to protect innocent civilians from evil-doers and to bring justice to law-breakers. This clear in the Ten Commandments. Therefore, we have to discern and understand that taking away a person’s right to harm others is the right thing to do. 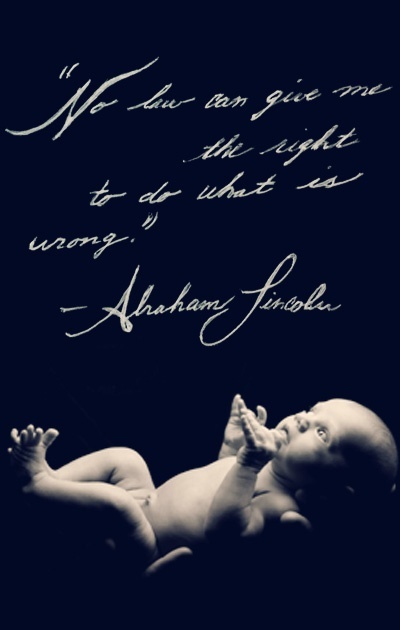 Protecting innocent life is the highest calling of civil governments. This is why God specifically mentions this evil of child sacrifice many times when declaring his judgment on the nation of Israel. For example, Ezekiel 16:20 (NASB) says, “‘Moreover, you took your sons and daughters whom you had borne to Me and sacrificed them to idols to be devoured. Were your harlotries so small a matter?’” And later, in verse 36 (NASB), “Thus says the Lord God, ‘Because your lewdness was poured out and your nakedness uncovered through your harlotries with your lovers and with all your detestable idols, and because of the blood of your sons which you gave to idols,’” God described the judgment He was about to bring on Israel. Israel had become so depraved of mind in their idolatry, that they finally resorted to murdering their own children! Do we not allow the same evil to continue in America? A civil government must outlaw murder. Is abortion not murder? Is taking the life of a baby while it is in the womb principally and morally any different than once it comes out? Let us have the discernment to understand that the right to live is the most precious right one can have, and biologically, we know that life begins at conception. Everything that this tiny life needs, except for energy and nutrients, is fully present at conception. Yet, if we, “We the People,” who are our governments ultimate authority, simply speak up, if we simply vote for representatives who believe abortion is murder, and if we speak intelligently on the topic with our friends and neighbors, we can change people’s minds and protect the helpless.